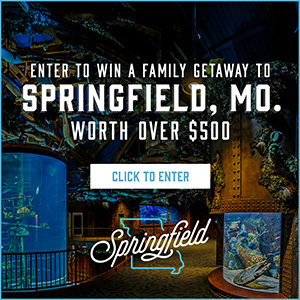 Missouri State shot 63.2 percent from the field and made three free throws in the final 5.5 seconds to score a 65-61 win over Loyola Chicago here Sunday afternoon, pushing the Bears into a first-place tie with Loyola and Drake in the Missouri Valley Conference. MSU (15-12, 9-5 MVC) got 18 points from Keandre Cook on 7-of-9 shooting, while Tulio Da Silva pitched in 16 points and a game-high nine rebounds. Senior Jarred Dixon scored 10 for Missouri State, which won its fifth Valley road game for the first time since 2011-12. Loyola (16-11, 9-5) was led by Cameron Krutwig and Marques Townes with 24 and 23 points, respectively. 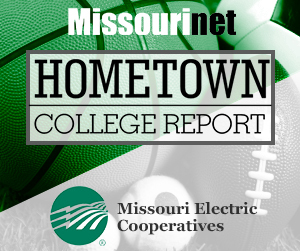 Mizzou Men’s Basketball fell short on the road at Ole Miss, 75-65, on Saturday afternoon. 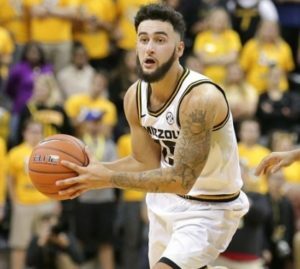 The Tigers outrebounded Ole Miss 37-21, Mizzou’s largest rebounding margin of the season, and shot 47.1 percent from the field, but couldn’t overcome 25 costly turnovers despite a second-half surge. Senior Jordan Geist poured in a game-high 23 points. He notched 19 of those 23 in the second half and surpassed the 20-point mark for the sixth time this season, adding four assists in 34 minutes. Geist’s strong second half willed the Tigers to within seven with 4:03 remaining on an old-fashioned 3-point play, but Ole Miss answered with a game-sealing 10-2 run to close out its victory. 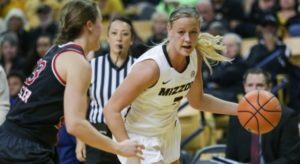 Mizzou Women’s Basketball fell just short against Tennessee on Sunday at Mizzou Arena, falling 62-60. In front of a season-high 8,559 fans, Mizzou and Tennessee had a back-and-forth battle for the full 40 minutes, as both squads shot close to 40 percent from the field, but the Lady Vols pulled out the victory with a pair of free throws with 52 seconds remaining in the game. Senior forward Cierra Porter scored 13 points on 6-for-7 shooting while snagging nine rebounds to lead the Tigers’ offensive effort. Senior guard Sophie Cunningham and junior guard Amber Smith poured in 13 and 14 points, respectively. With 52 seconds remaining in the game, Mizzou and Tennessee were tied 60-60. Tennessee sophomore Rennia Davis was fouled by Porter on a shooting attempt within the restricted area and headed to the line for a pair of free throws. Davis sunk both shots from the charity stripe free throws to give the Lady Vols a two-point lead. The two made free throws ended up being the game-winning points, as the Tigers were unable to score in the contest’s final seconds. 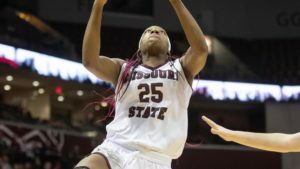 Illinois State used a closing 14-6 run over the final two minutes Friday for a 60-56 win at JQH Arena, halting Missouri State’s winning streak at 13 games and handing the Lady Bears their first loss since Dec. 16. The Lady Bears (14-8, 10-1 Missouri Valley Conference) fell to a tie for first in the league standings and still control their own destiny in the Valley race, despite seeing their streaks of 17 MVC wins (371 days) and 13 home league victories (404 days) come to an end. The Redbirds (14-9, 7-5) climbed into a tie for fourth place with the win. Neither team led by more than three points until MSU’s Dariauna Lewis scored off an offensive rebound for a 33-28 advantage with 3:13 left in the third quarter, but the Redbirds opened the fourth period on a 6-0 run to go ahead 39-37 with 8:02 to play. Brice Calip’s and-one got MSU the lead back during a 7-0 run that resulted in a 46-41 lead, and Jasmine Franklin and Alexa Willard scored on consecutive possessions after ISU tied the score to make it a 50-46 Lady Bears advantage with 2:03 on the clock. After that, the Redbirds scored eight consecutive points to go up 54-50 with 24.9 seconds left, the Lady Bears scored quickly three separate times to stay within striking distance, but ISU made enough free throws to seal the win. Illinois State owned a 35-33 rebounding lead, handing MSU only its third loss on the boards this season, and shot 18-for-27 at the foul line compared to 8-for-9 for the Lady Bears, who had attempted more free throws in 12 straight games entering the night. The Lady Bears shot 37.5 percent from the floor and 0-for-14 from beyond the arc, but forced 23 ISU turnovers and swiped a season-high 14 steals. Franklin scored 12 points on 6-of-8 shooting, and Calip added nine to surpass 500 in her career while nabbing a career-high five steals. Missouri State takes on Bradley (17-6, 7-5) at 2 p.m. Sunday. 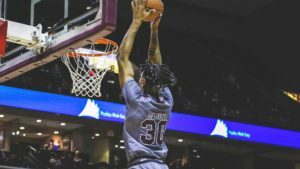 Saint Louis dropped a 91-61 decision to Saint Joseph’s on Friday night in Atlantic 10 Conference men’s basketball action at Hagan Arena. The Billikens slip to 15-9 overall and 6-5 in the Atlantic 10, while Saint Joseph’s improves to 11-13 and 4-7 in the league. Tramaine Isabell Jr. led SLU in scoring with 17 points, while Javon Bess chipped in 12. Jordan Goodwin scored eight points and gathered a team-high eight rebounds. The Hawks, who handed the Billikens their largest defeat of the season, received a game-high 28 points from Charlie Brown. He made his first nine shots from the floor and also finished with a team-high nine rebounds. Hasahn French, who finished with six points and seven rebounds, made the game’s first bucket to give SLU an early lead, but Saint Joseph’s responded with an 8-0 run to grab a lead it wouldn’t relinquish. It was a manageable deficit for the Billikens at halftime as they trailed by 11 at 45-34. But SLU couldn’t get anything going in the beginning stages of the second half, and the Hawks continued to grow their margin and never looked back. The Billikens are back in action on Wednesday when they face George Washington in Washington, D.C. Game time is 5:30 p.m.
Missouri State overcome a 10-point fourth-quarter deficit Friday evening, out-scoring Drake 32-16 in the final 10 minutes for an 85-79 victory. The Lady Bears (12-7, 8-0 Missouri Valley Conference) extended their win streak to 11 games overall and 15 in MVC play, ending Drake’s record 47-game conference streak and dropping the Bulldogs to 15-5 overall and 7-1 in Valley games. Senior Danielle Gitzen collected her third career double-double with 21 points and 10 rebounds, Brice Calip scored 12 of her 16 points in the fourth quarter, Dariauna Lewis scored a career-high 15 points on 6-of-7 shooting, and Alexa Willard added 13. After yielding a 30-point outburst to the Bulldogs in the third quarter on the way to a 63-53 deficit after 30 minutes, the Lady Bears roared out of the gates in the final period, with Calip scoring the first six of a 9-0 run that took just 91 seconds. Gitzen scored with 7:30 left for a 66-65 lead that MSU would never relinquish, as a Lewis free throw for 71-67 capped an 18-4 run to the halfway mark of the fourth. Two Gitzen free throws with 2:10 left made it 77-70, and it was a 77-74 advantage with 52 seconds left when the Bulldogs began fouling in a comeback attempt. The Lady Bears hit eight free throws in the final 45 seconds and 15 in the final quarter. MSU got off to a 1-for-8 shooting start but never trailed by more than five points in the first half, pulling even at 26-26 taking their first lead at 30-29 on Calip’s jumper. After Lewis hit a trey with 52 seconds left for a 33-31 advantage, Drake made seven of its next eight field goal attempts to build a double-digit lead at 48-38 with 6:08 on the third quarter clock. Missouri State closed within a possession at 50-47 after Sydney Manning’s bucket, but the Bulldogs were sent to the foul line 13 times in the third quarter on the way to the 63-53 lead after 30 minutes. The Lady Bears owned a 52-41 rebounding edge, including 22 offensive boards to help MSU attempt 10 more shots than the Bulldogs. Missouri State shot 39 percent compared to .446 for DU, and grabbed 12 steals. The Lady Bears stay in Iowa for a 2 p.m. Sunday contest at UNI (12-7, 5-2). 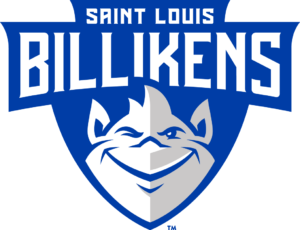 Dion Wiley and Javon Bess scored a game-high 20 points apiece and combined for 11 3-pointers to lead Saint Louis to a 68-57 Atlantic 10 Conference victory over Saint Joseph’s Friday night at Chaifetz Arena. The Billikens improved to 14-4 overall and 5-0 in the A-10 with a sixth consecutive victory. SLU is 5-0 in league play for the first time since the 2013-14 campaign. Saint Joseph’s fell to 8-10, 1-5. Wiley’s 20 points and six 3-pointers (6-of-11) are career highs, and the six treys also are a Saint Louis season best. Bess buried a career-high five triples (5-of-10) as he tallied 20 or more points for a fourth time this season. He added seven rebounds and two steals and was again strong defensively, helping hold SJU leading scorer Charlie Brown to without a field goal until the last minute of play. 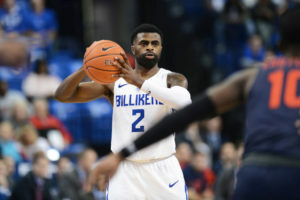 The duo’s 11 3-pointers gave the Billikens their season high from beyond the arc. Hasahn French registered his fifth double-double of the season – fourth in the last six games – and 10th of his career with 10 points and a team-high 11 rebounds. French matched his season high of four offensive boards. Tramaine Isabell Jr. contributed season highs of eight assists and eight rebounds and added eight points. Jordan Goodwin chipped in seven points, eight rebounds (game-high five offensive) and four assists. Jared Bynum (18 points, eight assists, six rebounds, three steals) and Taylor Funk (10 points, game-high 12 rebounds) led Saint Joseph’s. Following several early lead changes, Saint Louis went ahead for good, 13-11, on Wiley’s first 3-pointer with 12:48 left in the first half. The Billikens earned their first double-digit advantage, 28-17, on two Goodwin free throws at the 5:29 mark. Saint Joseph’s pulled to within five, but Wiley righted the ship with another trey and SLU went on to take a 34-25 lead to the locker room. The Hawks began the second half with a 10-2 spurt that trimmed the Billikens’ lead to 36-35 with 13:05 to play. However, the Bills caught fire and put together a 23-0 surge that resulted in their largest cushion of the game, 59-35, with 7:00 remaining. Wiley buried three 3-pointers and Bess added two during the run. Saint Joseph’s answered with a 19-4 run to make it a 63-54 game with 33 seconds left, but Bess sank two free throws moments later to secure the win. The Billikens travel to Pittsburgh to take on Duquesne Wednesday, Jan. 23. Tip time is 7 p.m. (CST). The Mizzou vs. South Carolina men’s basketball game, originally scheduled for Saturday, Jan. 12, but postponed due to weather related travel issues for the Tigers, has been TENTATIVELY rescheduled for Sunday, Jan. 13, at 12 p.m. CT, at Colonial Life Arena, pending the weather permitting Missouri’s travel to Columbia, S.C., on Saturday. Both South Carolina and Missouri have worked alongside the SEC office in working to reschedule the contest. 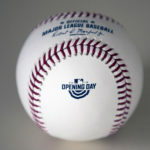 A final determination on the tentative rescheduled matchup will be announced on Saturday afternoon. The UMKC men’s basketball team wrapped up the 2018 non-conference portion of its schedule with an 89-53 loss to host Creighton University (9-4) tonight at the CHI Health Center Omaha. The Roos (5-10) were led by Brandon McKissic’s 11 points and three steals. Xavier Bishop and Rob Whitfield complimented McKissic in the scoring column with 10 points apiece. The Roos head back to campus for the WAC opener against Chicago State on Jan. 5 at 2 p.m. CT. The game marks the first time UMKC will play all conference games at Swinney Center. Early on, the teams traded baskets until Creighton managed an early 9-4 advantage. But a 3-pointer by Bishop sparked a 10-5 spurt to bring the Roos to a 14-14 tie at the 11:31 mark. Creighton took control of the game from that point with rebounding and 3-point shooting. After UMKC’s Brandon Suggs hit a jumper in the lane, the host Bluejays went on an 28-10 run and ran to the locker room with a 42-24 halftime lead. UMKC trimmed the deficit to 12 (42-30) with three-straight buckets to start the second half. Bishop hit two runners in the lane and McKissic converted a Creighton turnover into a dunk and the Roos were back in it. But that was short-lived as Creighton quickly pushed the lead back to 20-plus points (54-34) at the 14-minute mark. 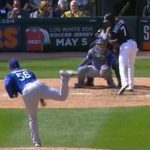 The Bluejays never let the lead shrink below 20 the rest of the way. Bishop was the team leader with three helpers. Marvin Nesbitt Jr., came off the bench to grab a career-high tying eight rebounds. Creighton finished with 39 rebounds compared to UMKC’s 16. Martin Krampelj led the Bluejays with eight boards. Also, the Bluejays connected on 10-of-20 three-point field goals, which was in range of their season average and No. 4 ranking in the NCAA of 12.2 made treys. Ty-Shon Alexander captured game-high honors with 19 points, while Davion Mintz had 13 and Krampelj added 11. The Bluejays shot a scorching 61.8 percent from the floor, including 65.5 percent in the second half. The Kansas City Chiefs fell to the Seattle Seahawks, 38-31, on Sunday night football at CenturyLink Field. Kansas City lost two fumbles and committed eight penalties as the Chiefs failed for the second time to secure the AFC West. Russell Wilson passed for 271 yard and three scores as Seattle clinched a Wild Card berth. 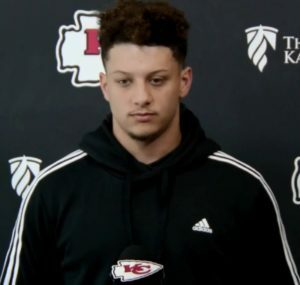 Patrick Mahomes threw for 273 yards and three TDs to lead Kansas City, which failed to keep up with the Seahawks’ offense. Damien Williams rushed for 103 yards in defeat. The Chiefs are on a two-game slide.